Visitors to Mugga-Mugga Cottage last Saturday were able to experience first-hand the re-using and recycling lifestyle of the Curley family, who lived at Mugga for over 70 years. 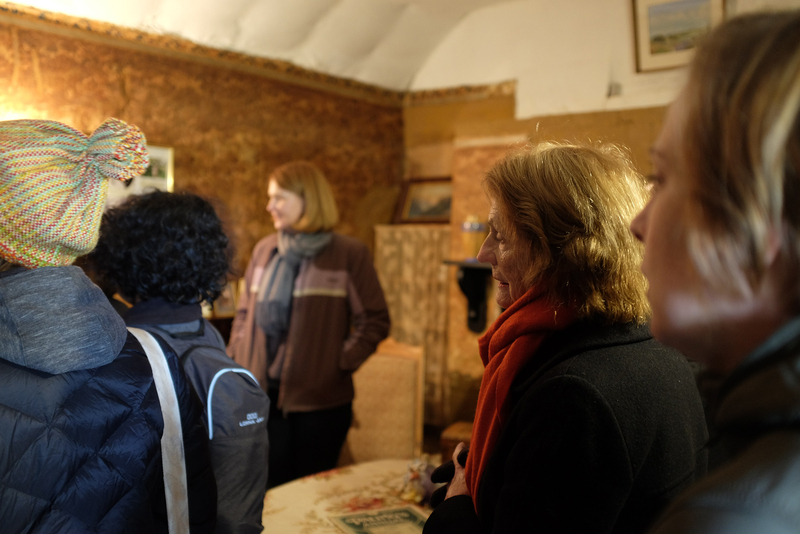 A tour of the cottage focused on the recycled materials utilised by the Curley’s to maintain their home-using hessian sacks as a ceiling, fruit boxes as shelves, and kerosene tins as a chimney. 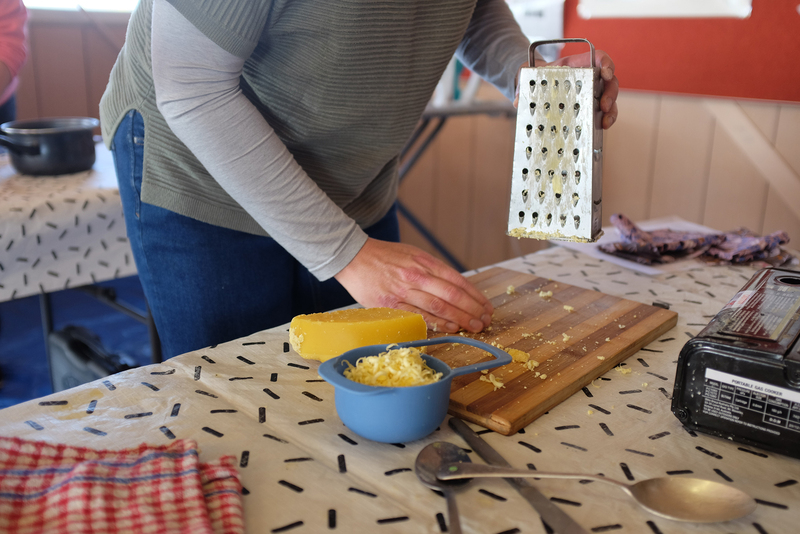 The Curley family were environmentally conscious, having witnessed the changes in the landscape during the region’s early settlement and being concerned for its future. 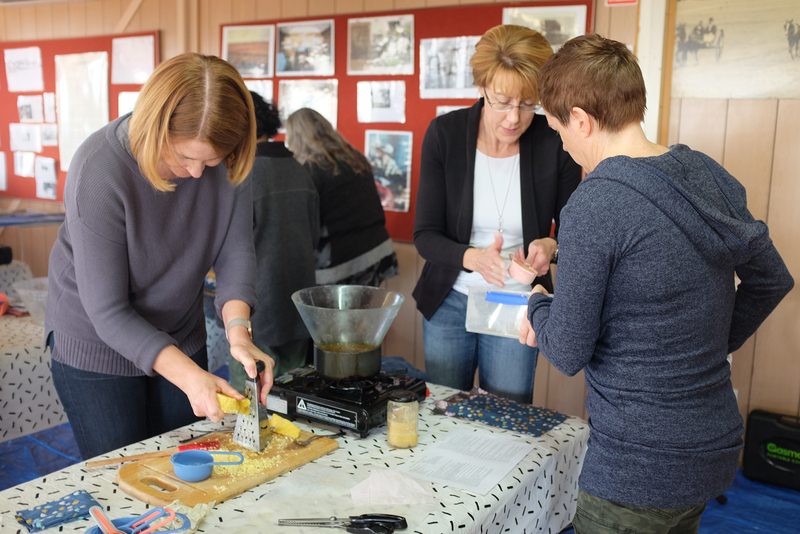 It was with this attitude in mind that visitors participated in a beeswax wrap program, run by Gaby from the Canberra Environment Centre. 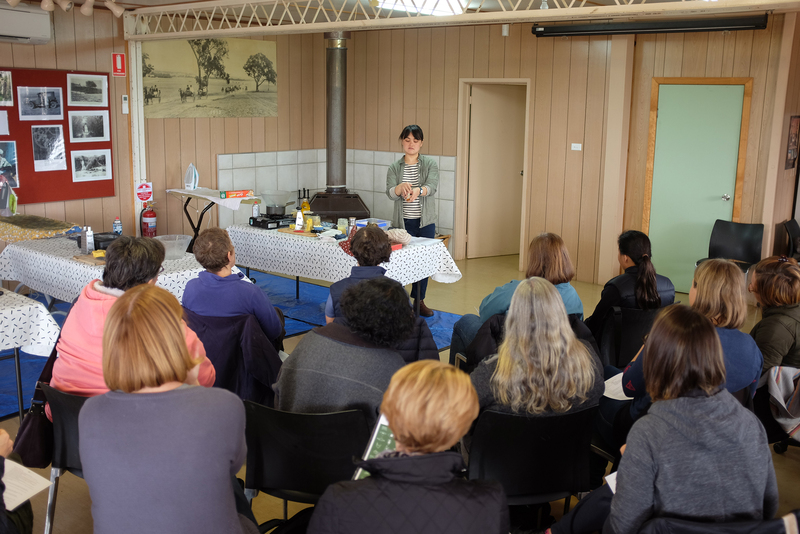 Gaby gave visitors lots of ideas for reducing plastic waste at home- wrapping bread in linen, storing snacks in sewn bags and reusing fabrics for wrapping gifts. 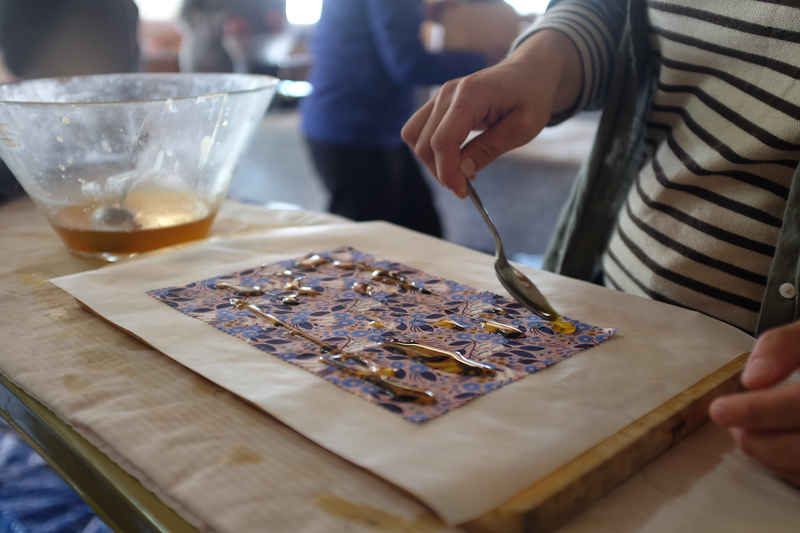 After a demonstration, visitors then got to work making their own beeswax wraps- a messy but fun process! 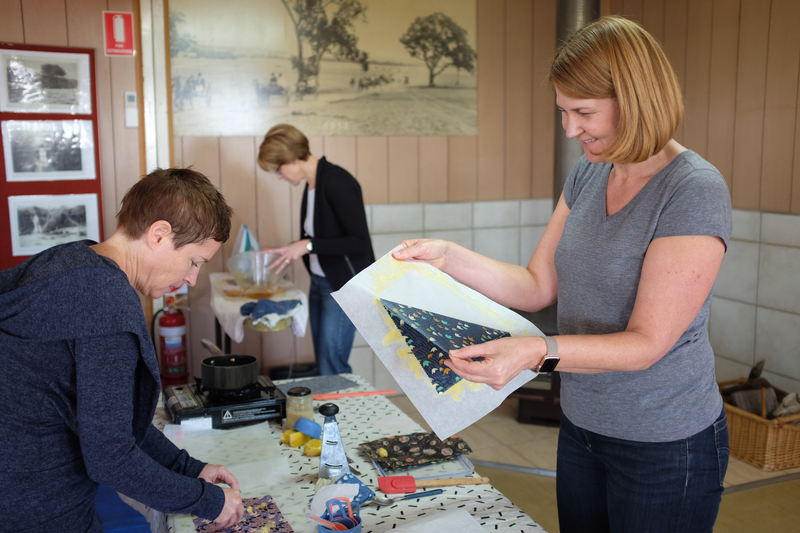 Melting wax, sticky resin and coconut oil were the order of the day, and with a helping hand from Gaby, all our visitors took home their charming personalised beeswax wraps to store food and snacks in, while reducing their environmental impact. 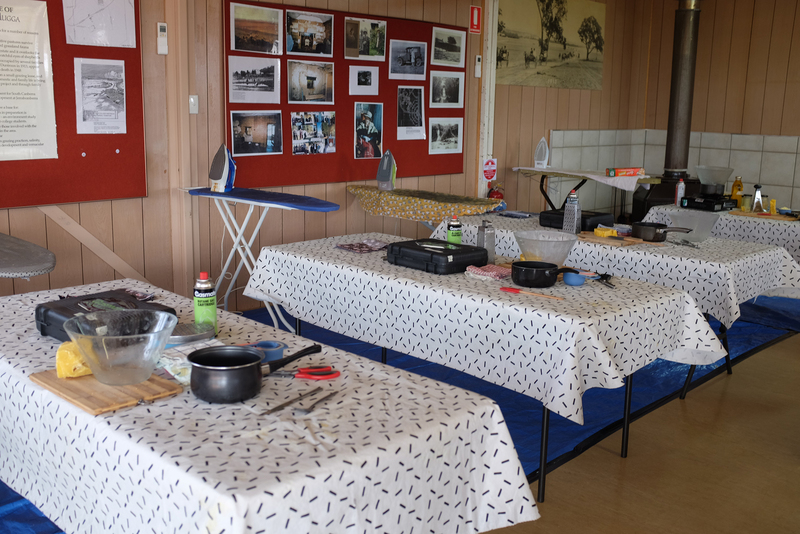 It may have been a messy day in the Education Centre at Mugga-Mugga Cottage, but it proved that preserving our environment is not only vital, but can also be fun.